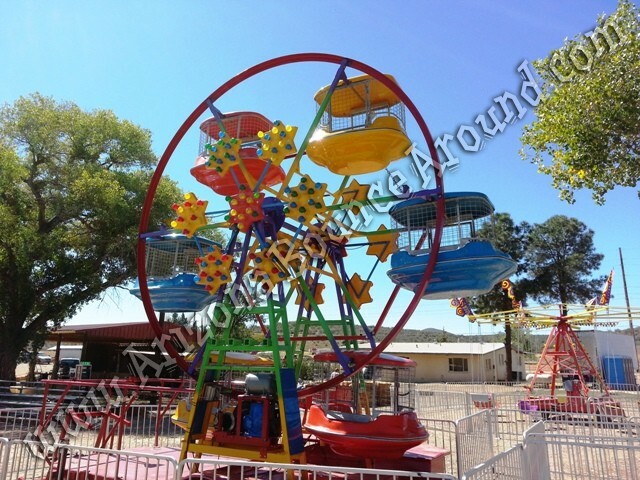 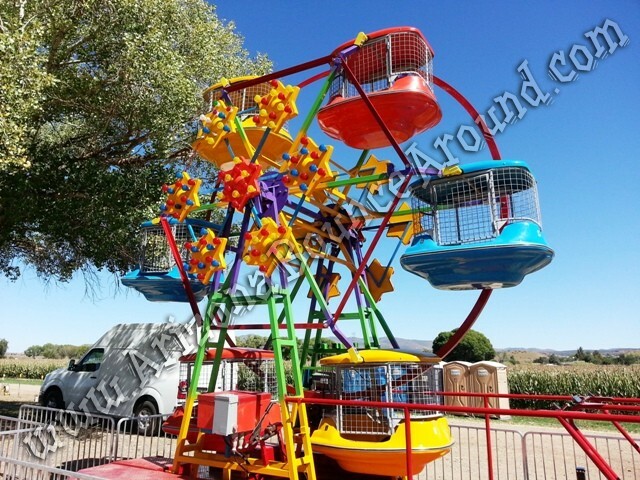 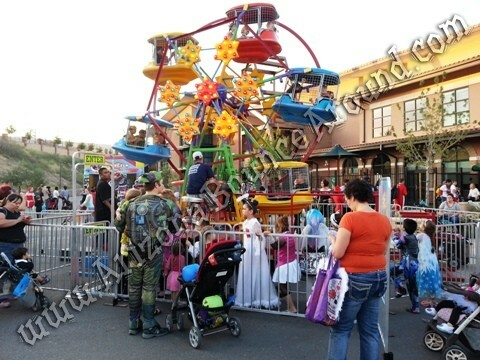 Our 19' tall Kiddy Ferris Wheel is a great carnival ride for any party or event. 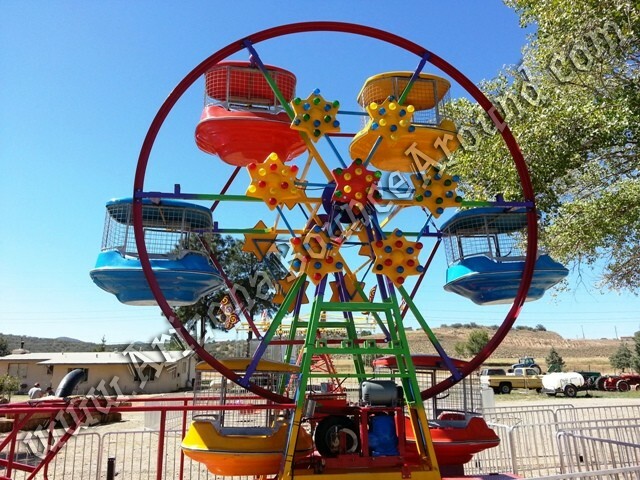 Most Kiddy Ferris Wheels are much smaller than this one and our cars hold up to 4 kids per car for a total of 24 kids per ride. 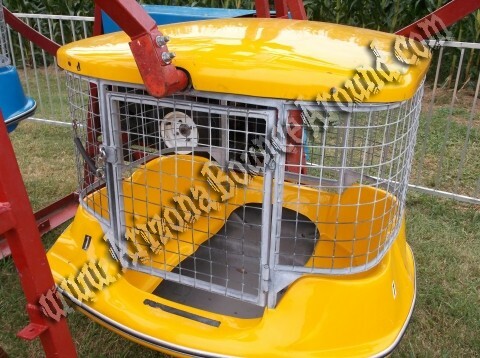 Our Ferris wheel cars have full enclosed safety cages for added safety and carnival lights just like the full size ferris wheels. 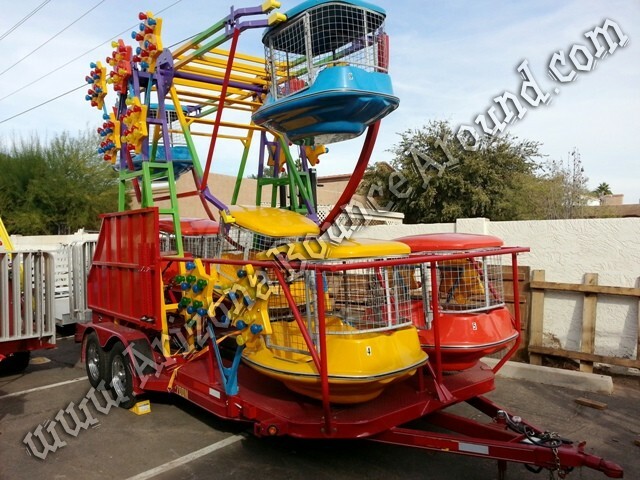 All of our carnival rides are state inspected and required in the state of Colorado so dont rent a carnival ride from a rental company that does not have this inspection. 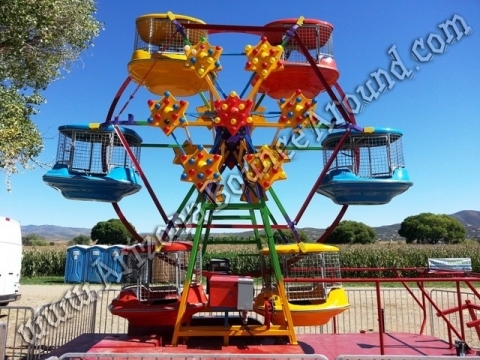 This Kiddy Ferris Wheel is very portable and can fit in a 15' X 35' area making this a great attraction at any carnival themed event. 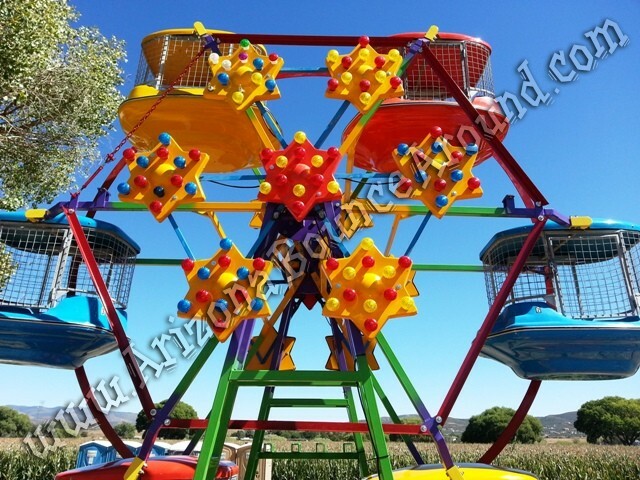 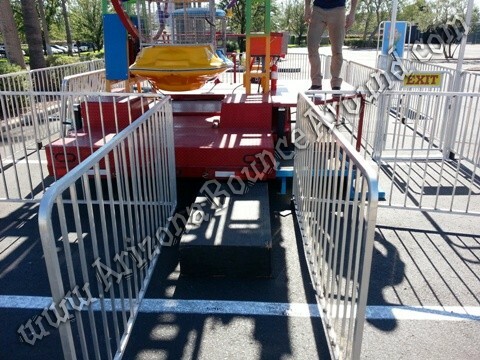 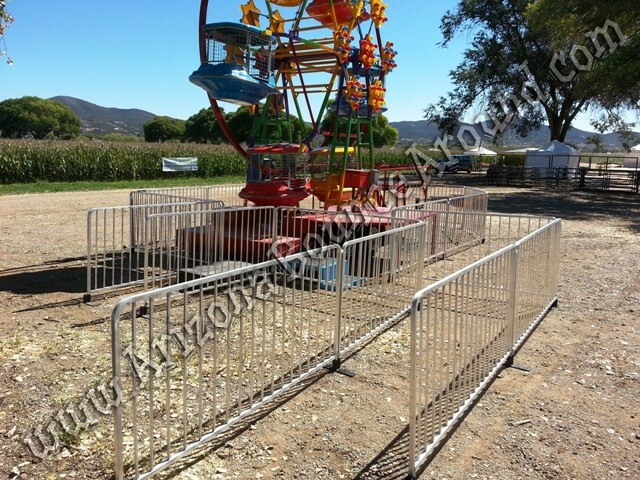 The rental price includes the Ferris wheel, fencing, power to operate the Ferris wheel with lights and one operator. 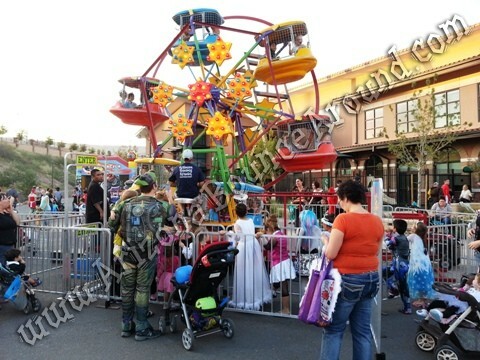 We are a full service event rental company serving all of Colorado. 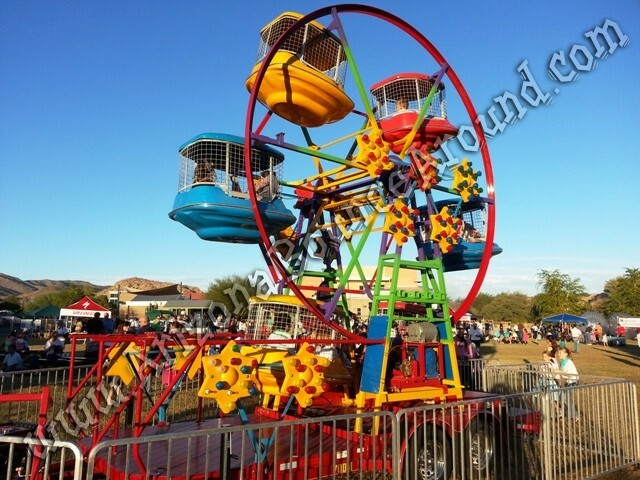 We have many other rental rides and amusement attractions available for your school carnival, fall festival, street fair or birthday party so call, click or come by today. 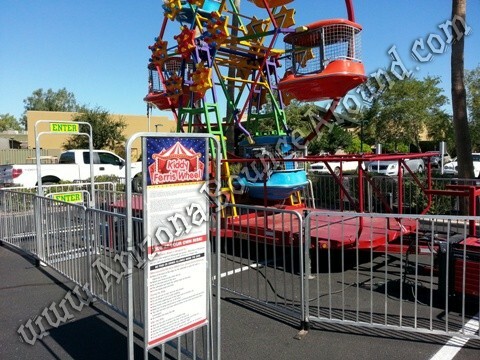 We also have a big selection of carnival games and dunk tank rentals for that perfect carnival themed event. 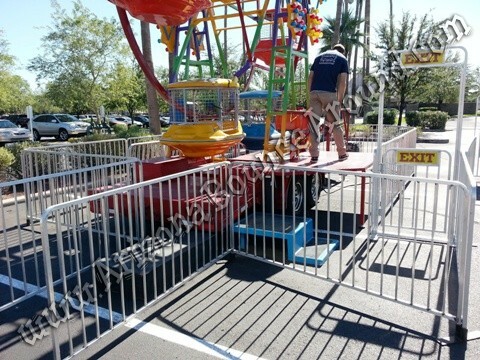 Our Ferris wheel needs to be towed to the setup location with a truck so we must have a wide enough flat level path and gate with enough room to turn around if necessary. 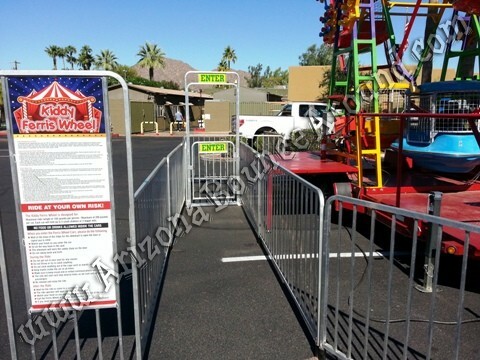 We will need overhead access to be at least 13 feet tall so low hanging trees, tunnels, bridges, etc. 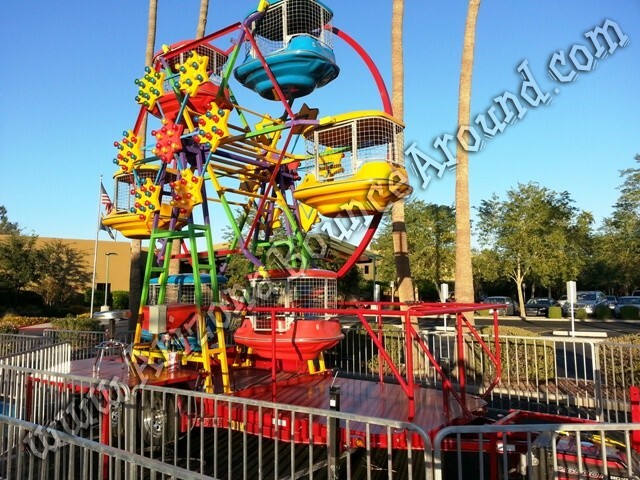 will prevent us from delivering the Ferris wheel.